Have a little extra time off after Christmas? Try planning a trip to one of these ten destinations. Happy holidays to one and all! Now good luck making plans. New Year's Eve is one of the most difficult holidays on the calendar to plan for. Plan too big and you usually end up disappointed, with a party that never seems to quite live up to the hype. Plan too small, though, and it's easy to feel like you're missing out on one of the biggest nights of the year. This is a hard holiday to pull off. So, instead of trying to plan the perfect party, try travel. While New Year's Eve is a hard night to plan, it's an excellent opportunity to take a vacation. Between slow offices and holiday time off, December 31 may just be that opportunity to see the world you've been waiting for. And there's no harm in trying to find a great New Year's Eve celebration while you're at it. For example, try one of these top ten destinations for a great start to 2018. When Will Using Bitcoin Become the Norm in Society? Instead of partying, maybe ring in the new year by doing some good. We'll not mince words, Puerto Rico needs help. Hurricane Maria levelled the island's infrastructure, leaving nearly half of Puerto Rico without power even to this day. New estimates have totaled the death tally up from 55 people to over 1,000. Drinking water remains an issue for many residents, who can often scarcely afford the bottled water shipped in. "Traveling to Puerto Rico," said Jose Izquierdo, executive director of the Puerto Rico Tourism Company, "to celebrate the New Year is the perfect way to get a head start on resolutions to both travel and give back more in 2018. 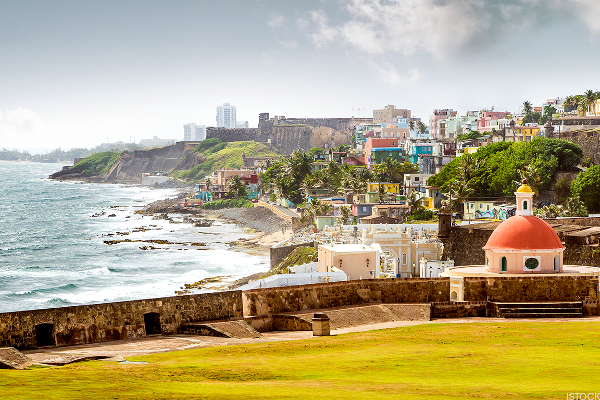 Tourism continues to be vital to Puerto Rico's road to recovery." Whether contributing to the local economy through your dollars, or contributing to the rebuilding efforts through your time, you can start 2018 feeling great about yourself. Thailand celebrates Loi Krathong on the 12th full moon of every year. During this festival communities light candles and set them afloat in small baskets made of reeds and banana leaf. In Chiang Mai, they light paper lanterns instead, filling the sky with a thousand points of light. It's a striking image, but one that generally happens around late November. So every year Chiang Mai decides to do it again. They recreate this festival for tourists during the western New Year, and it really doesn't matter whether the experience is or is not authentic. 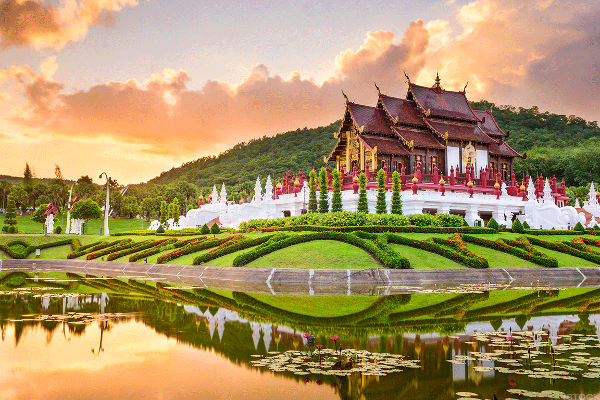 You can certainly party in Chiang Mai, and after the ceremony probably will. Bars from the little, local Yokka Dok to Club Spicy will stay open far into the night. But you can do that anywhere. Watching the skies of mountainous northern Thailand fill with floating lanterns, candles with little light pollution to outshine them, is not to be missed. 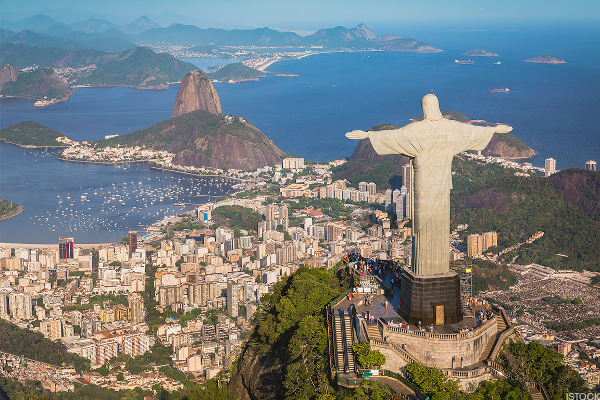 Brazil is known for many things, with beach and party culture chief among them. Which is why it makes sense that Rio de Janeiro has one of the world's best New Year's Eves. The city goes all out, with the party focusing on Copacabana and Ipanema Beaches. Rio even launches hundreds of fireworks in one of the world's biggest pyrotechnic displays. Millions of people will head to the beaches wearing all white to symbolize peace in the coming year, but you can wear different colors to herald different kinds of luck for 2018. Green will bring good health, yellow riches, purple inspiration and red will attract passion and love. And, of course, since this is the coast of Brazil you can light up your choice of bathing suit in the colors of new year's luck. While your friends bundle up for the freezing weather of winter back home, you can wait for midnight to strike on Brazil's warm sand. This might be the most well-known New Year's party in the world. 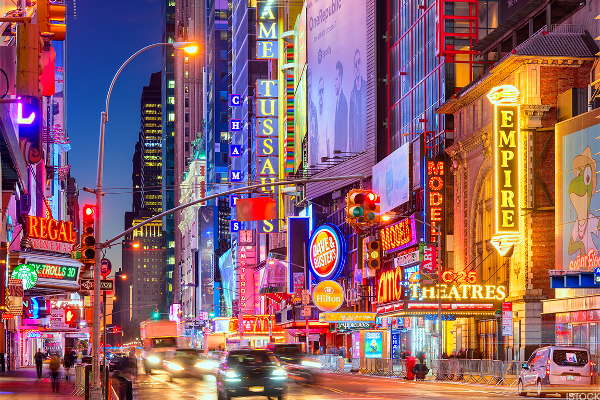 Every year Times Square lowers a ball covered with 2,688 Waterford crystals and weighing over 11,000 pounds. For hours the massive square fills with over a million people who dance, party and watch the most televised December 31 in the world. Now… this isn't necessarily a good thing. Actually visiting Times Square on New Year's Eve is difficult at best. People have to stand in place for hours, jam packed in a space far too small for a crowd this size. Security is intense, and the less said about the restroom facilities the better. All of that said, there's probably no more recognizable New Year's scene in the world. This is the party, and every year it gets performers and headline stars to fit that bill. So dress warm and arrive early. This party might be a logistical headache, but it's one you'll brag about for years to come. Get to 2018 a day early. By celebrating New Year's Eve in Australia (like Thailand) midnight will arrive half a day earlier than it does at home. In fact, this is one of the first places in the world that will ring in 2018. 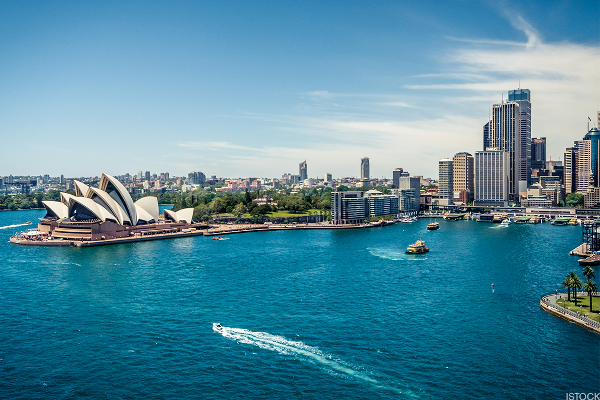 That's not the only reason to take your trip down under, but it's certainly a great start. Another benefit? Sydney throws one heck of a party. Like Rio de Janeiro, the Sydney waterfront hosts one of the biggest fireworks displays in the world, one which stretches for miles. Before that, the harbor fills with boats for the Harbour of Light Parade. The city launches each ship festooned with colored lights, and partygoers can even reserve a place on deck. Australia isn't easy to get to from the United States, which makes New Year's Eve an excellent opportunity to visit. With a little more time off than you'll usually have, late December may be the best possible time to fly halfway around the world. Once again we return to the water for New Year's Eve in London. Westminster is an excellent place to celebrate the arrival of 2018. The celebration centers on the Thames, with fireworks launched from the London Eye. During and after the show partiers take over the riverfront, celebrating on the Tower, London and Westminster bridges, and spilling into Trafalgar square near Parliament. Few New Year's parties can boast so many monuments, nor as stunning a backdrop as downtown London in the winter. But unlike most entries on our list, the fun is only beginning. Starting at noon (a wise precaution, all things considered), the New Year's Day Parade is one of London's annual high points. 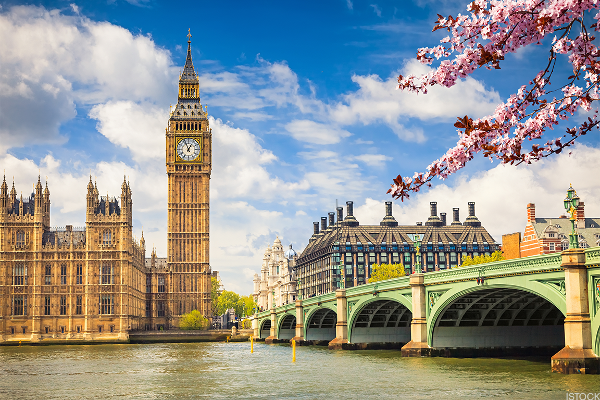 It marches through many of the city's most famous streets, ending at Big Ben. Iceland is enjoying a moment. Tourism to the small island nation has boomed over the past several years, climbing 30% to 40% per year. There's a good reason for that, certainly, as this is a land of scenery that would make Moana jealous and engineers who build roads around elves. This is the land of the Hidden People, and there are few better places to make plans for New Year's Eve. Sedate travelers can enjoy New Year's Eve with a full view of the northern lights, enjoying a light show that may well put to shame anything Sydney or Rio can offer. For people who want to spend their holiday far from the parties, this is a chance to see some of the world's starkest, most beautiful landscape the way it was meant to be seen: bundled in the cold, snowy winter dark, waiting for the sky to burst into color. Then there are the bonfires. Through Reykjavik and, indeed, all of Iceland people light immense bonfires, and they're not playing. They light bonfires in the old, Celtic sense, piles of wood taller than the men and women charged to contain them. 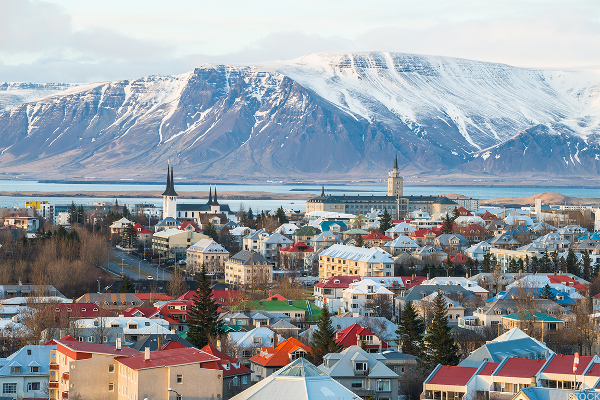 New York may have a big ball, but Iceland has a link to deep history. This Chilean city goes nuts for New Year's Eve. 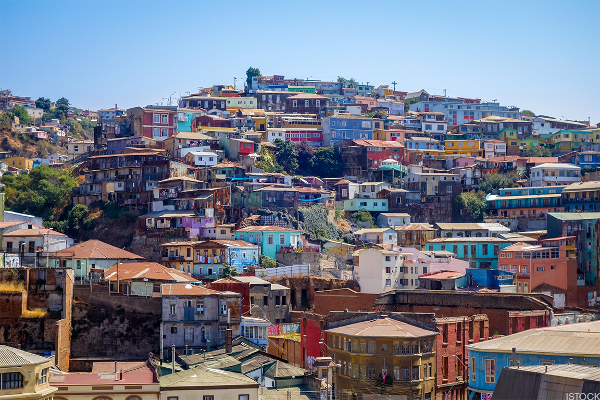 Valparaiso brags that it hosts the biggest party in South America on the 31st. This is probably somewhat exaggerated, but that doesn't make their actual event any less impressive. Over a million people show up for this party, quintupling the city's size. Packing that many people into the city is, alone, reason for celebration. But because Valparaiso wasn't designed to hold its own party, the event spills out into the streets. New Year's Eve in this city is an all-night affair of celebrating and dancing in the streets, with people staying out until sunup in true Latin American spirit. Take part in the plaza concerts, or just find a convenient spot to watch the show. It will be well worth your trip either way. Prague is a city built for winter. The great stone alleys of the old town remind you that this was once a place that lived and died in the Eastern European cold. While the modern world may have brought heat and light, around here they haven't forgotten the days when nights lasted much longer. So the Czech people built their city to celebrate that fact. 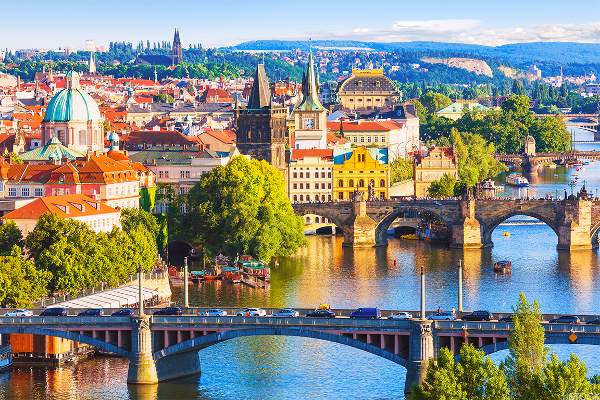 In the winter, Prague's Old Town, Lesser Town and Wenceslas Squares become gathering places for markets, brewers, bakers and chefs serving the city's famous pig knuckle. With that kind of festivity as a matter of course, stepping it up for New Year's Eve takes some work, and Prague delivers. Fireworks frame the famous palace on the outskirts of the city. Boats take cruises filled with partiers along the Vltava River, and even theaters get in on the act, throwing their doors open to people who want to ring in 2018. But don't book them. Spend your night circulating among the town's wide squares and boulevards, which fill with crowds. Sip hot mulled wine or cider and dance under the famed clock tower. Somehow, even in the earliest hours of January, you won't want to go indoors. Hong Kong is one of, if not the, most visited countries in the world, so it stands to reason that this territory would have one of the best New Year's Eve parties as well. This is the place to go if you want to celebrate in style. Don't take this the wrong way, Hong Kong has a magnificent party in the streets as well. But for travelers with a little bit of money to spend, this truly may be one of the best New Year's Eves on Earth. Celebrate on the rooftop of one of the city's many skyscrapers, practically within arm's reach of the fireworks display. Rent an old-fashioned junk to take you out in the harbor for an all night cruise. 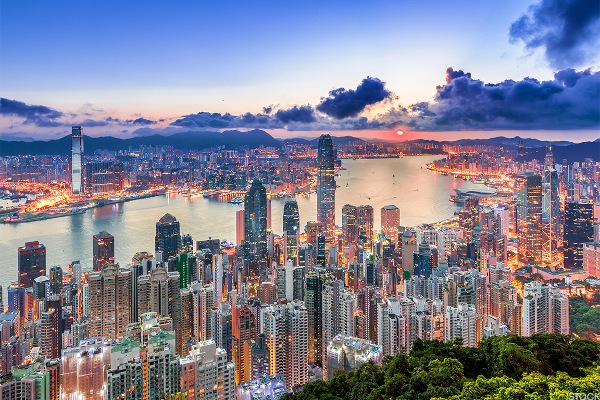 Enjoy Hong Kong's famed nightlife with an elegant dinner and evening at one of the city's outstanding bars or restaurants. None of it will come cheap, but if you want to spend the money… well, there won't be many better memories come January 1.